Get the energy you need to fuel your day. Delicious bars are an excellent source of protein and fiber. Made with 70% organic ingredients. 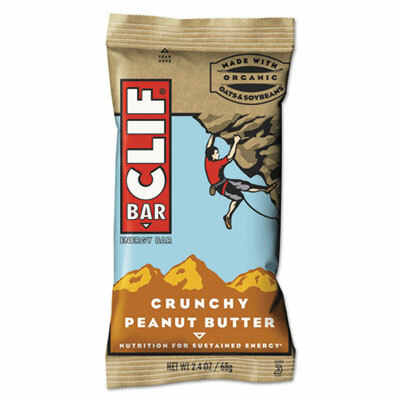 Food Type: Nutrition Bar; Flavor: Crunchy Peanut Butter; Capacity (Weight): 2.4 oz; Packing Type: Bar. 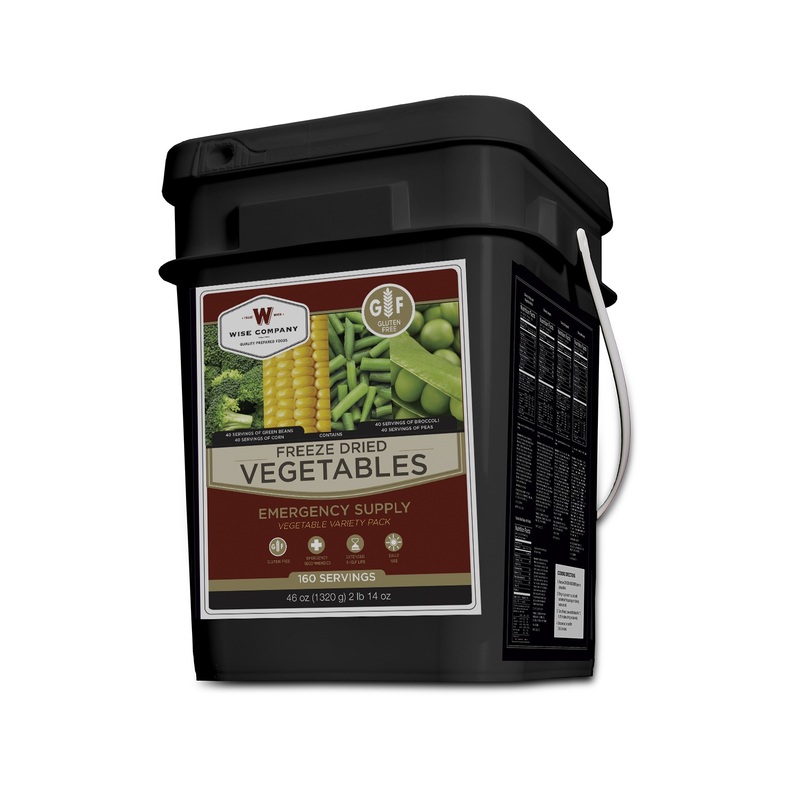 The Wise Foods 120 Serving Entr++e only Grab and Go Bucket is perfect for daily use and unplanned emergencies. To preserve freshness and great taste, our ready-made meals are packed in airtight, nitrogen-flushed Mylar pouches, and then sealed in easy to carry and easy to stack durable plastic containers. 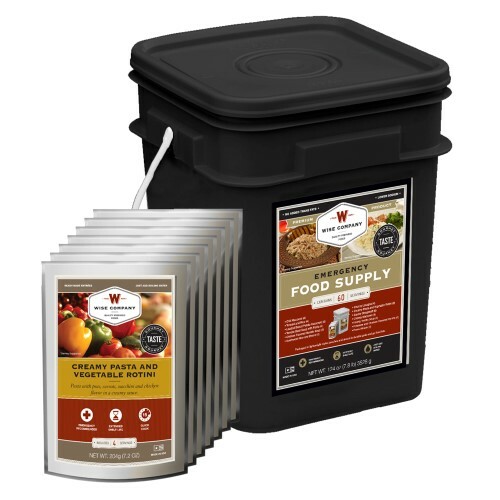 G++WiseG+- Grab and Go Food Kits carry a shelf life of up to 25 years. This makes for worry free storage without having a need for rotation. 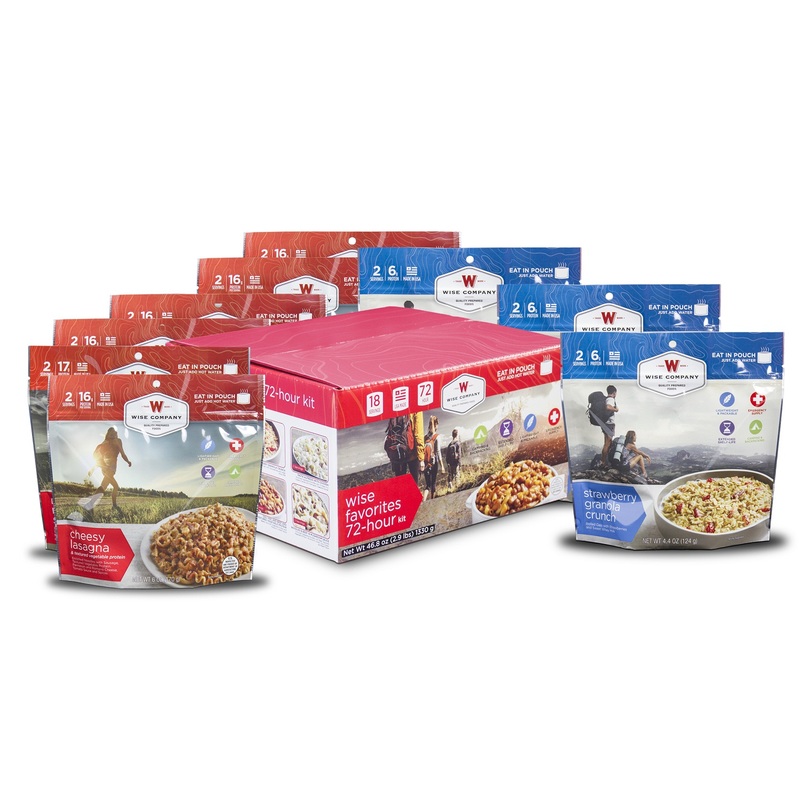 120 servings entree assortment- no breakfast items. 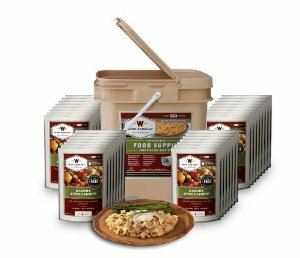 This kit includes the following 60 servings of Wise's best entrees including Cheesy Lasagna (12), Chicken Ala King (12), Pasta Alfredo (12), Savory Stroganoff (12), Creamy Pasta & Vegetables (12), Cheesy Macaroni (12), Chili Macaroni (12), Teriyaki & Rice (12), Tomato Basil Soup (12), and Tortilla Soup (12). 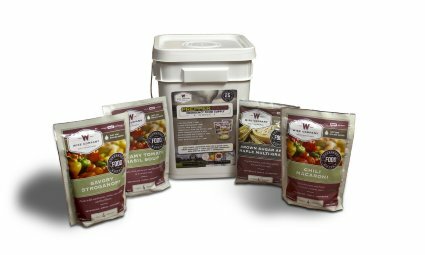 Wise Foods Freeze Dried Vegetable 160 Servings Gluten Free includes 160 assorted vegetables in a bucket that is full of gluten free vegetables for emergency preparedness or every day meal preparation. Each bucket includes 40 servings of green beans, 40 servings of corn, 40 servings of peas, and 40 servings of broccoli. The Wise Foods Pepper Pack (52 Servings) is perfect for daily use and unplanned emergencies. To preserve freshness and great taste, our ready-made meals are packed in airtight, nitrogen-flushed Mylar pouches, and then sealed in easy to carry and easy to stack durable plastic containers. 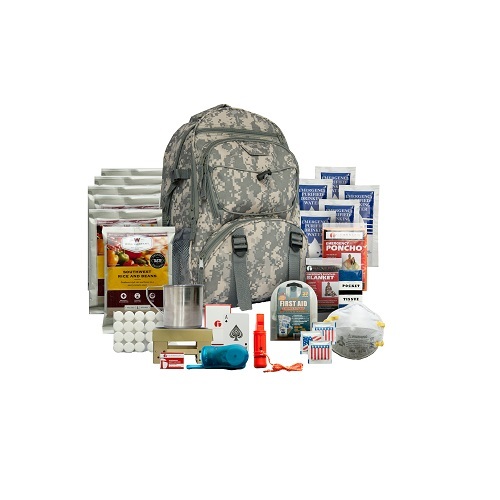 G++WiseG+- Grab and Go Food Kits carry a shelf life of up to 25 years. 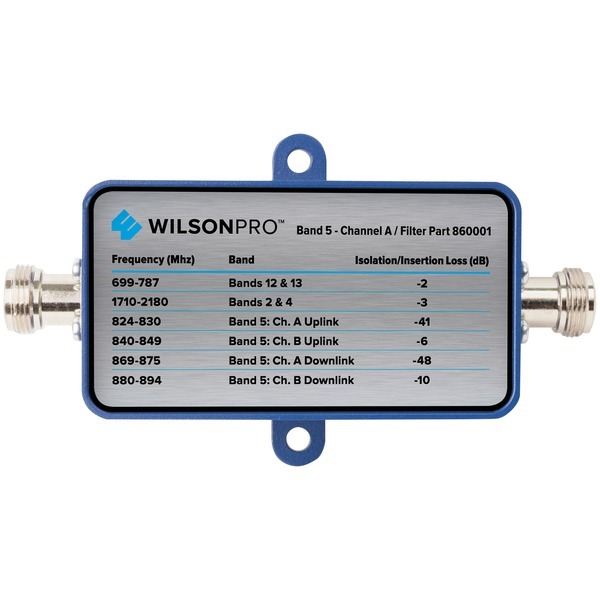 This makes for worry free storage without having a need for rotation. Includes the following great servings: Savory Stroganoff (4), Creamy Pasta and Vegetable Rotini (4), Apple Cinnamon Cereal (4), Brown Sugar and Maple Multi-Grain (4), Chili Mac (4), Tomato Basil Soup (4), Orange Delight Drink Mix (16), and Whey Milk Alternative (12).